Registration for our Spring 2019 Classes is Now Open. Please click here to register for lessons starting May 28th! **See Important Information below for our upcoming class dates and location of classes. The Pre-Can Skate for our Spring session is on both Tuesday and Thursday. Because the Spring session is very short (only 4 weeks long), PreCanSkate will skate both days (30 minutes per session). The program price reflects skating 2 days per week for 4 weeks or a total of 8 classes. Skaters must be over the age of 3 as of the start date of the class. Location Notes: Classes are at the Cochrane Arena between May 30th to June 13th. **Note: The last two classes June 18th and June 20th will be at Spray Lakes Family Sports Center - Totem 3 arena as the ice will be coming out of the Cochrane Arena. Learn to Skate with CanSkate! Spring Session for CanSkate starts May 28th! Please note Classes on May 28th to June 11th will be at the Cochrane Arena (our home arena) and the last class on June 18th will be held at Spray Lakes in Totem 3. Please note Classes on May 30th to June 13th will be at the Cochrane Arena (our home arena) and the last class on June 20th will be held at Spray Lakes in Totem 3. At the CanSkate level it is recommended skaters skate 2 times per week. Discount available: By registering for both Tuesday and Thursday classes (on the same invoice) you will receive a discount of $15 off the total invoice. Discounts are not included for any programs that are refunded due to withdrawal. Skaters must be over the age of 3 as of the start date of the class or have passed Pre-CanSkate or have equivalent skills. Spring Session for Advanced CanSkate & Junior STARSkate starts May 28th! Skaters who register for both Tuesday and Thursday (on the same invoice) will receive a discount of $25. Discount only applies if registering for both programs on the same invoice. In case of program withdrawal, discounts are not refunded. Please note Classes on May 27th to June 10th will be at the Cochrane Arena (our home arena) and the last class on June 17th will be held at Spray Lakes in Totem 3. Please note Classes on May 29th to June 12th will be at the Cochrane Arena (our home arena) and the last class on June 19th will be held at Spray Lakes in Totem 3. Please note Classes on May 31st and June 7th will be at the Cochrane Arena (our home arena) and the last 2 class on June 14th and June 21st will be held at Spray Lakes in Totem 3. Skaters who are registered for Monday, Wednesday AND Friday programs (on the same invoice) will receive $25 off their total invoice. All three programs must be registered for at the same time for the discount to apply. In case of program withdrawal, discounts are not refunded. Welcome to the Cochrane Skating Club! Our home arena is located by the tri-schools at 609 4 Ave N, Cochrane, AB. 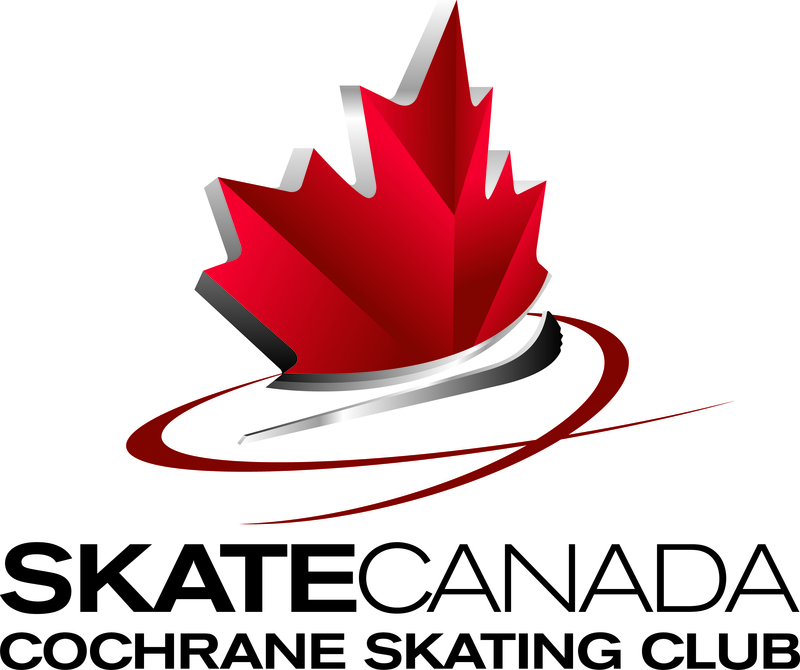 The Cochrane Skating Club is a non-profit organization sanctioned by Skate Canada and has been organizing skating programs for the Cochrane Community and surrounding community for over 25 years. Our club is run through the efforts of volunteers and professionally certified coaches who dedicate much energy and time to ensure high quality programs are available for all levels and ages. We offer skating lessons in group or private format. The Cochrane Skating Club continues to provide excellent coaching, skating and activities through the skating season. Skaters experience the joy of skating, the challenges of learning and demonstrating new skills and benefit from the terrific fitness opportunity it provides and as an added bonus our skaters develop amazing relationships in the community and life-long friendships.